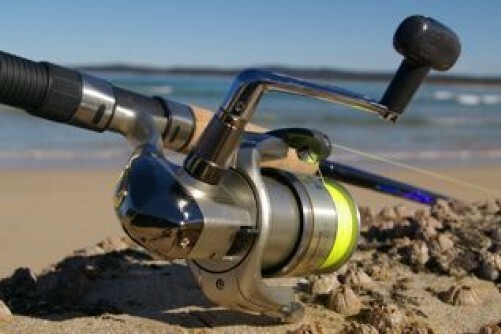 You can come on a Day Fishing Trip on any day of the year. We will collect you from your hotel or cruise boat at 8.00am and then transfer you to your fishing boat for a full day’s fishing. We return to Aswan at 4.30pm, when we will transfer you back to your hotel or cruise boat. 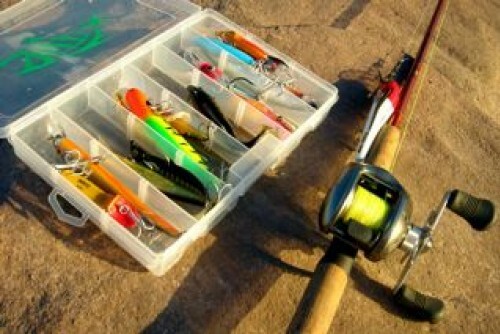 An experienced fishing guide will captain the fishing boat. We provide each boat with up to three sets of rods and reels and a box of lures; you only have to pay extra if you lose any of the lures. A quality picnic lunch is included in the price and there is an icebox full of soft drinks and beer, which you pay for according to consumption. On a day trip a fishing boat will comfortably carry up to four people, with up to three of these fishing at a time. Inclusions:A quality picnic lunch is included in the price and there is an icebox full of soft drinks and beer, which you pay for according to consumption. The African Angler operates big game fresh water fishing safaris on Lake Nasser, which is on the River Nile in Southern Egypt. 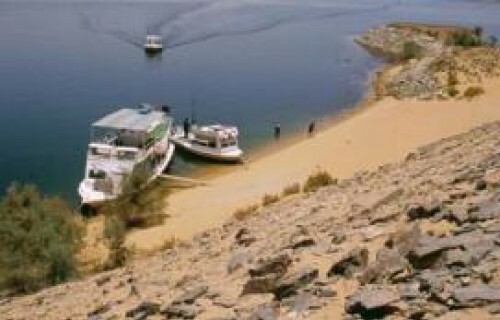 The company is registered in Australia and is a family business owned and managed by Tim and Peter Baily who were both born and raised in Kenya, and have been involved in the safari business for most of their lives and as a result have brought some of the atmosphere of a traditional Kenya safari to Lake Nasser. 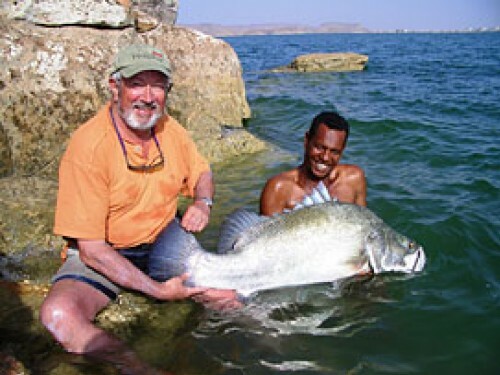 The African Angler has been operating safaris on Lake Nasser for the past fifteen years and has had the privilege of being the first to explore this remote and spectacular angling venue for a variety of sport fish, the massive Nile perch, the Tiger fish and Vundu catfish. We offer a range of services from day fishing trips to live-aboard charters.